Recently opened South Carolina-based DeckStore foresees a prosperous future. David Elenbaum had a problem. After 14 years as a deck contractor, followed by a couple of years on the manufacturing/ distribution side of the business, David Elenbaum returned to life as a deck builder in 2012. It didn’t take long to realize that he faced some very real challenges. The store he refers to is DeckStore, in Simpsonville, S.C., which opened its doors in September 2012. Elenbaum explained that while the demand to create an outside living space was present, the right materials weren’t readily available. Seeing an opportunity, Elenbaum jumped on the idea to not only capitalize on outdoor living, but also provide services and materials that he saw as difficult to obtain. In about five months, from concept to reality, DeckStore sprung to business with a 4,000-sq. foot retail space and a 35,000-sq. foot warehouse and manufacturing facility. With a customer base of 40% homeowner/DYI, 40% remodeler and 20% custom homebuilder, the business supplies decking, plant materials, hardscape goods and other various outside living needs—including BBQ’s and other accessories. 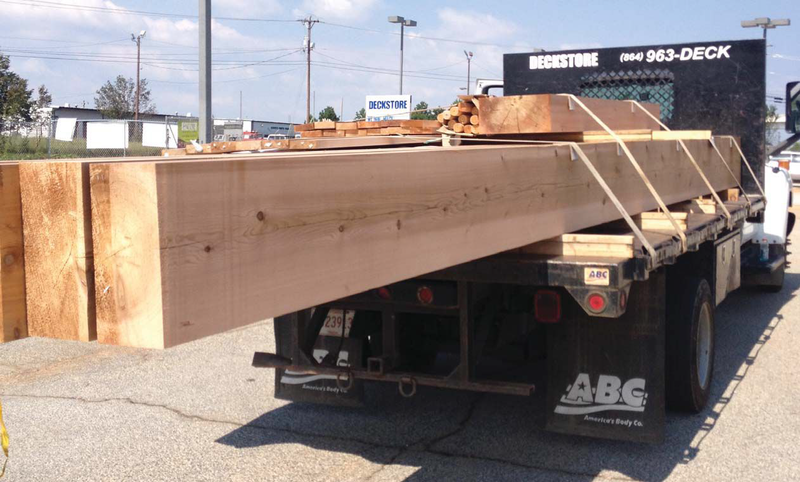 “We do more than just sell decking materials,” Elenbaum says. “We’re a supplier for the backyard. We sell composite decking, pressure-treated lumber and railings products, but we additionally sell plant materials, hardscape goods, mulch and various landscape items. Although the company is still relatively new, revenue trends seem to be headed in the right direction. With only six employees and no outside sales force, Deck- Store ended 2013 with more sales than expected, on par with many successful independent retail building material distributors. And this year, the numbers are continuing to climb. With homeowners looking to expand their outdoor living options, Elenbaum says that DeckStore aims to provide the best resources for outdoor living products, knowledge and services in upstate South Carolina. Part of this can be attributed to the business model he shaped by touring other facilities and piecing together concepts to make his own business a success.